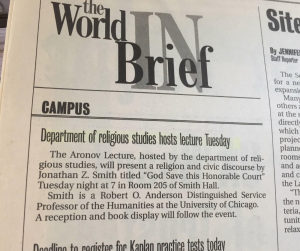 Named after the late Aaron Aronov — the founder of Aronov Realty for whom the department’s endowed chair in Judaic studies is also named —this annual lecture series was established in 2002. Its aim is to introduce to the University of Alabama community a nationally recognized scholar of religion who is capable of reflecting on issues of wide relevance to scholars from across the humanities and social sciences. 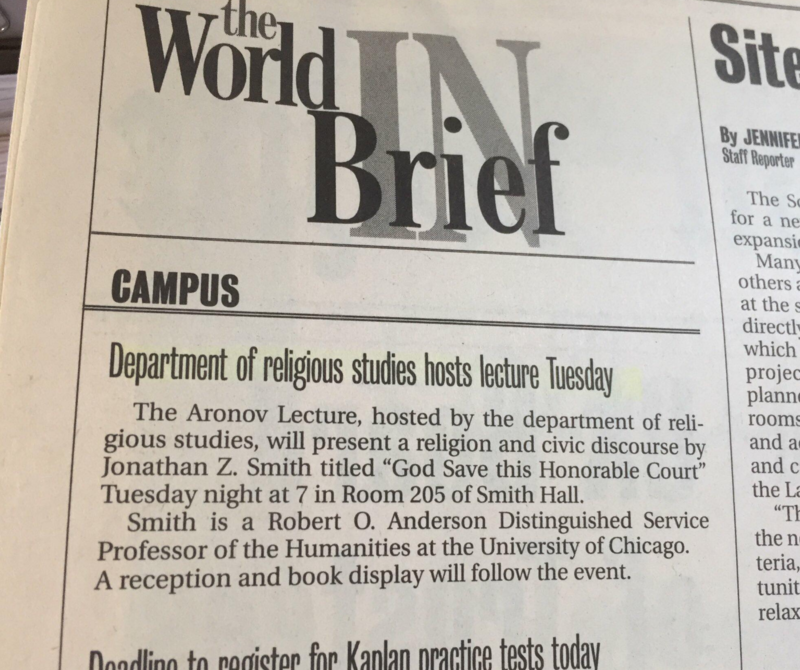 The annual Aronov Lecture is one of two lecture annual series hosted by the department, the other being the Day Lecture (along with our periodic Religion in Culture Lecture Series). The Department also hosts a Religion in Culture Lunch Series (which often involves visiting guests meeting with REL students). Of note is that REL’s Prof. Ramey collected the first decade’s worth of Aronov Lectures and it was published in 2015, as Writing Religion: The Case for the Critical Study of Religion, by the University of Alabama Press. For information on these and other public events sponsored by the department — all of which are free of charge and open to the general public — please check our events page. 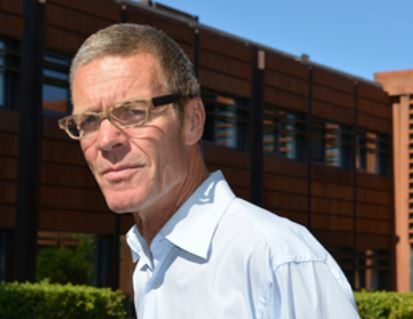 To see videos of the Aronov Lectures since 2013, take a look at our Vimeo page. Or visit the Department’s page on Facebook for an album of past Aronov lecture photos. Time: Tuesday, April 9 from 7-9 p.m.
Dr. Jensen is the President of the International Association for the History of Religions, the field’s only international scholarly association.